Most of the physical fitness freaks asks to experts and specialists in this particular field, what are macronutrients? The simple answer to this question is that macronutrients are nutrients that largely provide energy or calories. It is to be remembered that nutrients are significant substances needed for metabolism, growth and for other vital body functions. Literally, the word “macro” means large, thus the word macronutrients are nutrients that are needed in large amounts in any given situation and circumstances. 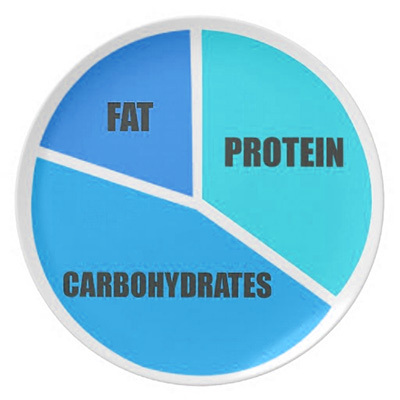 There are three macronutrients; they are Fat, Protein and Carbohydrate. It is to be noted that each of these said macronutrients largely provides calories. On the other hand, the amount of calories that each substance provides actually varies. Protein gives 4 calories per gram, Carbohydrate gives 4 calories per gram and Fat gives 9 calories per gram. Carbohydrates are the body’s primary source of fuel and perfectly utilized by the body for energy. It is required for the heart, the muscles, the brain, the kidney and central nervous system to function properly. All of the cells and tissues in our body can rightly use glucose for energy. It can be perfectly stored in the liver and muscles and later used for energy. Protein is required for growth, immune function, tissue repair, preserving lean muscle mass, making essential enzymes and hormones. When carbohydrate is not readily available, it is used for making energy. On the other hand, Fat is required in our body for normal growth and development, absorbing certain vitamins such as vitamins A, D, E and K, providing consistency, taste and stability to foods, maintaining cell membranes and providing cushioning for the organs to a great extent. Once people understand macronutrients then they lead a life of healthy and fit. There is a need to spread an awareness related to it among people to stay healthy. This entry was posted in macronutrients. Bookmark the permalink.